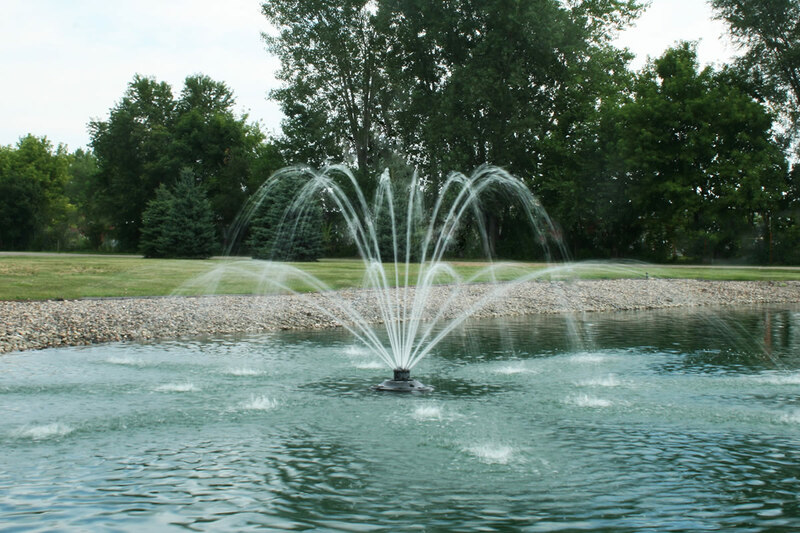 The XStream Fountain is an exciting, new fountain to the Kasco line. Taking advantage of high RPM technology, the 1/2HP, XStream provides over 30 beautiful and unique laminar displays, including a V shape pattern all with a single nozzle! 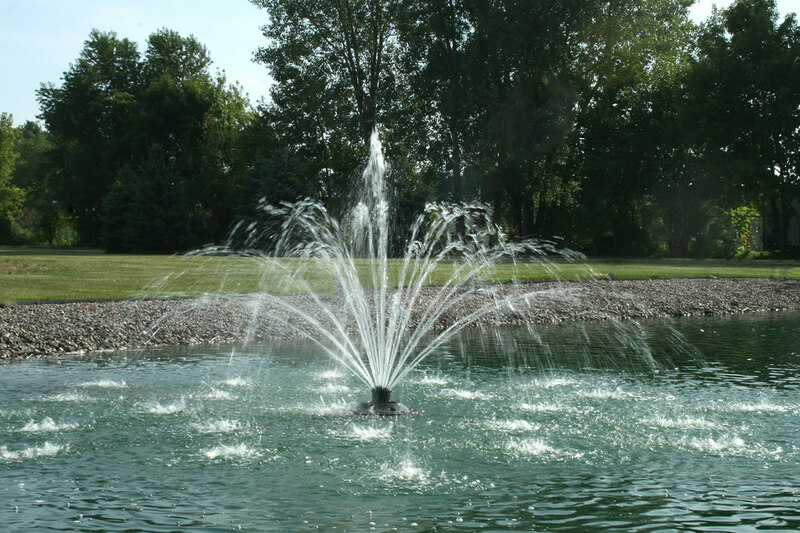 With easily "customizable" displays and a maximum height of 8.5', this new 1/2HP fountain is perfect for virtually any small decorative pond application. The innovative design allows for quick and easy customization of the display simply by plugging holes in the nozzle with the included plugs, allowing the customer to "design" their own display. The elegant laminar displays are beautiful day or night with a set of LED lights (optional). The 2400SF is available with 50', 100', 150', or 200' power cord and operates on 120V power, drawing only 6.6 amps. The 2400SF includes a GFCI protected control box. The C-25, 120V control with timer, GFCI protection, and photo eye for light operation comes standard. The photo eye allows you to set your timer for the hours of operation and when it is dark the lights will activate. No electrician is required to install the C-25 Control or the 2400SF if an existing 120V, 15 amp receptacle is available. 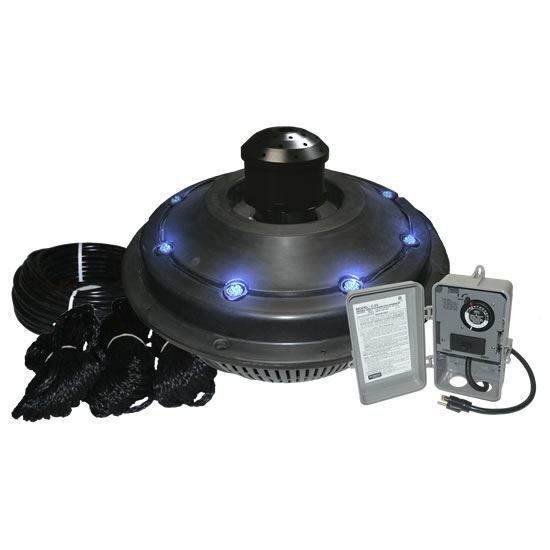 Add an optional New Puck LED Light Kit to the 2400SF to extend its beauty into the nighttime hours. 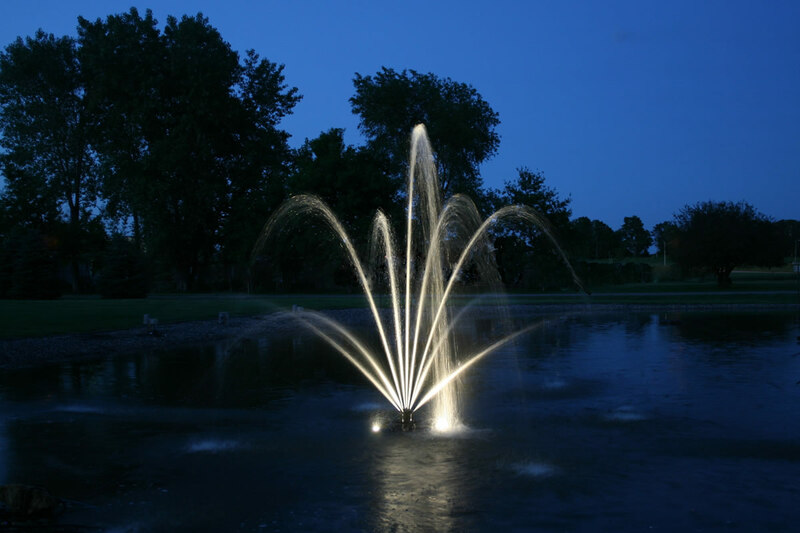 Lighting makes the water display come alive, turning water drops into glimmering jewels of light while providing an overall resort-like appearance to your water feature. Efficent / Low Power Use: Highest efficiency design for low power consumption versus competing units. 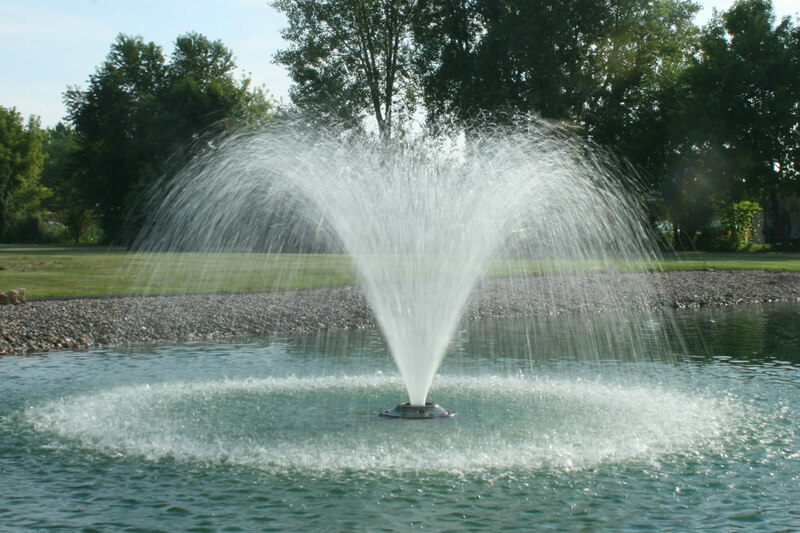 Reduces operating costs over the entire life of the unit. 6.6 running amps on 120V. Ships Easily: 2400SF ships in 1 box if cord length is 50' or 100'. Longer lengths require a 2nd box. Includes two 50' braided nylon mooring ropes.